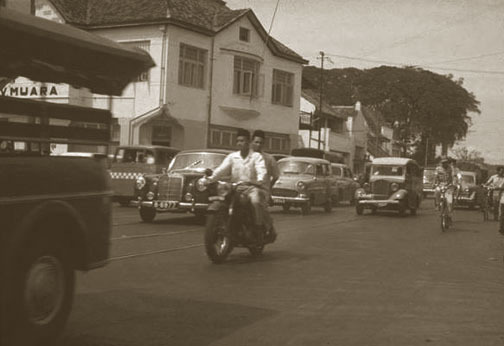 It is interesting to note that the official guest cars used for all federations competing in the Asian Games of 1962 (held in Jakarta from August 24, 1962 to September 4, 1962) were the four cylinder diesel Mercedes-Benz Type W120 180Db Ponton sedans. So, at the time, the government imported dozens of these cars from Germany. Sadly, very few remain today, because they were cannibalized for parts.